Why does humanity exist? Among the significant reasons is the human capacity to express light. Clarity, ingenuity, integrity, wisdom, and harmonious creativity are expressions of light through creative intelligence. Respect, kindness, care, equanimity, compassion, saving and helping are expressions of light relationally. Lightness of being, humor, the arts, inspiration, aspiration, idealism, optimism, humility, genuineness, patience, calm, serenity, and presence are expressions of light as well. The truth is that each kingdom on Earth assists in the sacredization of Earth. The qualities and expressions listed here are ways that humanity does. Each moment is the opportunity to live sacredly. Each interaction with someone is inviting you and I to realize the sacred potential that is that person and, thereby, to elicit and support his or her sacredness to come forward. 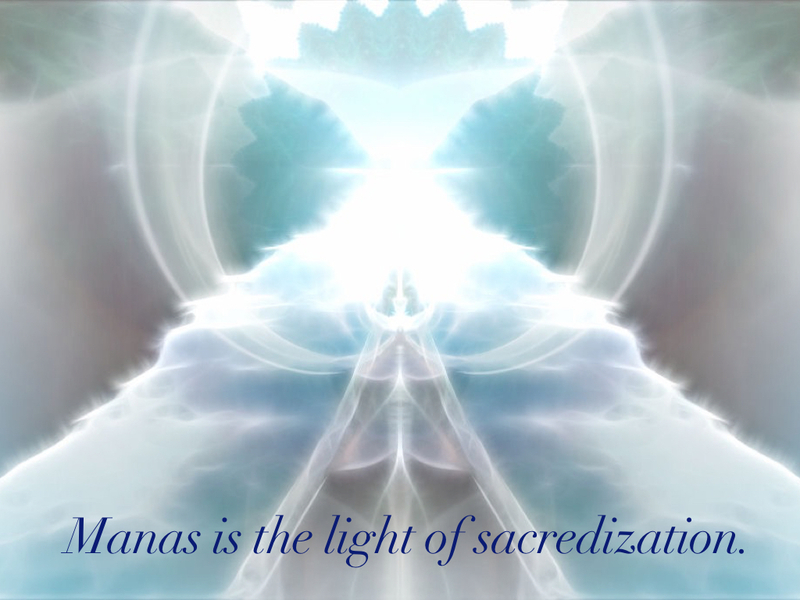 In this way, the flow of karma is the ongoing act of sacredization. I’ll be leading a short weekend meditation retreat May 13-15 at Spirit Fire. Registrations are still open. Give yourself the gift of a weekend of meditation. Details and registration here. This entry was posted in Esoteric psychology, Mahayana and tagged Earth, humanity, Manas, meditation, mind, sacredization. Bookmark the permalink.